Are you a passionate, enthusiastic and charismatic individual able to deliver premium 5 star service? If so, we are looking for you. The ideal candidate will be reliable, efficient and be able to provide excellent treatments to enhance the customers’ experience and sense of well-being. Where applicable, you may also need to create a bespoke customer journey within the spa to ensure their needs are met, if not exceeded with the ultimate aim of securing repeat bookings; you must be professional and innovative within your approach and continuously strive to improve.<br><br>Our beautiful and contemporary spa within our Canary Wharf Club offers a tranquil and relaxing atmosphere for our customers, but also provides a positive environment to work in. As a Spa Therapist it’s important to be both welcoming and engaged when liaising and building relationships with customers and also within your direct team to ensure that an encouraging and optimistic culture is sensed throughout the Spa.<br><br>As well as being a customer-facing role, you will also be required to roll-up your sleeves and ensure that the Spa and stations are always clean and clear throughout the service and that the cleaning is performed to a high standard.<br><br>Skills and attributes required:<br><br>– Needs to have a minimum of 3 years’ experience in dealing with guests and offering treatments<br>– Must be willing to take further training in all treatments available<br>– Understand the spa daily figures to hit targets<br>– Maintain high standards of hygiene within the spa<br>– Must offer all treatments we have available<br>– Able to attend member evenings or special functions as and when required and help out as requested<br><br>Hours and days per week: 40 hours over 5 days, including weekend work<br><br>We are looking for a proficient communicator, with both strong written and verbal skills so that day-to-day tasks of providing informed consultations on Spa offerings, booking in appointments to carrying out proficient treatments appears seamless for the customer. 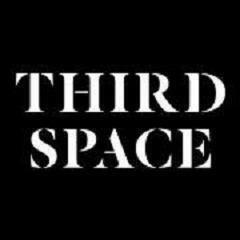 Third Space - Canary Wharf is posting their hospitality jobs on Harri.